Description: American pianist Kenny Drew (1928-1993) moved to Copenhagen, Denmark, in 1964. Although he may have somewhat faded from the radar of American jazz fans, he had a fantastic career in Denmark and was beloved by European and Japanese jazz fans. 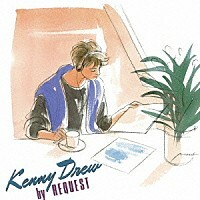 In the 1980s, Drew's popularity in Japan grew to incredible heights when he began recording for Japanese labels. After a string of hit albums, the RVC label (now under Sony) collaborated with the premier Japanese jazz magazine Swing Journal and asked the readers to suggest the tunes that Drew and his all-star trio would play in their next album. They chose the top ten songs from the readers' requests--all well-known standards--and went into the studio in Copenhagen. The result is a fantastic piano album that has been cherished for decades. Drew's elegant, swinging and imaginative piano is supported and enhanced by the powerful performance by the Danish super-bassist Niels-Henning Orsted Pedersen and Ed Thigpen, a fellow American expat who had settled in Copenhagen. Produced by Kenny Drew and Makoto Kimata. Recorded on August 24 and 25, 1985, at Easy Sound Studio, Copenhagen, Denmark. Blu-spec CD2 is the latest edition of Sony's CD formulation that takes advantage of special manufacturing techniques and new materials developed for Blu-ray discs. It is compatible with all CD players.